Meet the next generation of control rooms. Discover how our cloud-based solutions are helping under-pressure emergency services to manage demand and protect their investments in control room solutions. In response to these challenges - that is, restrained budgets and increasing demand - the emergency services have started working smarter by taking advantage of the latest technology, enabling effective and efficient service delivery. At the forefront of innovation, we've created a cloud-based control room solution that is flexible, scalable and, most importantly, doesn't require large capital investments - which is one example of how we can enable more effective and efficient working practices in the bluelight sector. Here at APD, we develop critical control room and location technologies that enable emergency services to communicate more efficiently in 999 situations. Over 57 per cent of UK police forces already use our control room technology and ten forces use our cloud technology. Two years ago, we began a journey in reducing proprietary hardware in favour of open-standards software, and in 2016 we launched the world’s first hosted control room solution in Sweden. 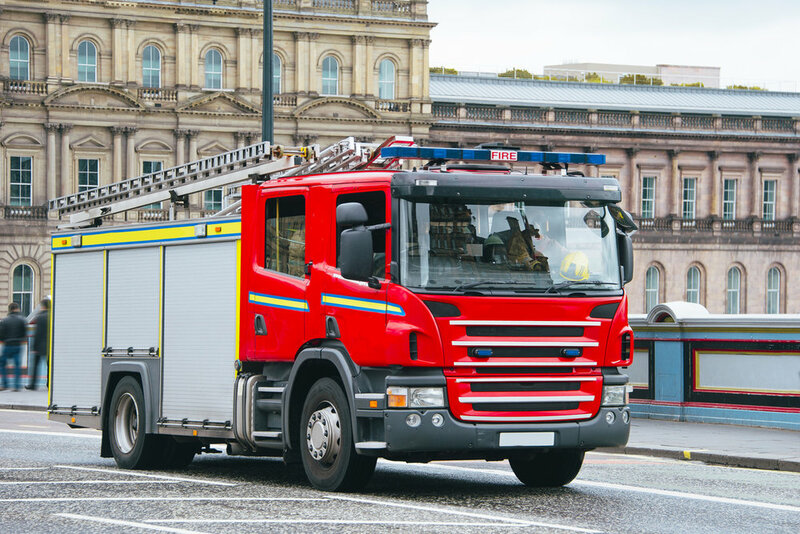 This innovation was crucial in preparing for the new Emergency Services Network (ESN); a 4G mobile network that the emergency services will use to replace the costly Terrestrial Trunked Analogue Radio (TETRA). Since then, we've gone on to develop our fully hosted control room solution, a cloud-based data and communications platform that offers benefits including cost savings, greater flexibility and improved security. "Delivering a cloud-based service enables us to gather new requirements quickly and deliver them promptly to all the organisations that offer emergency services, without the need for costly site visits or upgrades", says Mike. “Public safety organisations are now becoming much more comfortable using cloud-based technologies, which I think will free things up considerably. In terms of the feedback we get, the most important thing for them - alongside security - is that the servers are in-country and that they own the data. There has to be a host of disaster recovery plans in place as well. “As a UK-based development company, we will continue to gather new requirements from our customers. We are working closely with the Home Office to produce the latest technology too, and we are looking for joint development partners within the emergency services so we can continue to develop world-leading technology." To learn more about how you can leverage the latest technology to unlock a flexible, secure and cost efficient solution for your control room, get in touch with us at hello@apdcomms.com. To see our technology in action, get in touch to arrange a demo. We'll also be sharing more about our latest hosted control room solution at the annual BAPCO show on 20 - 21 March 2018 - if you'd like to book a meeting, you can get in touch at hello@apdcomms.com.